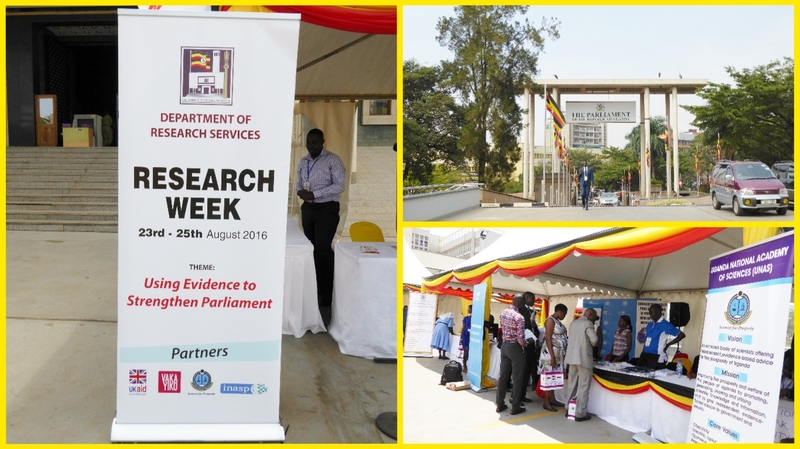 The first ever Research Week in Uganda took place on the 23rd Aug – 25th Aug. 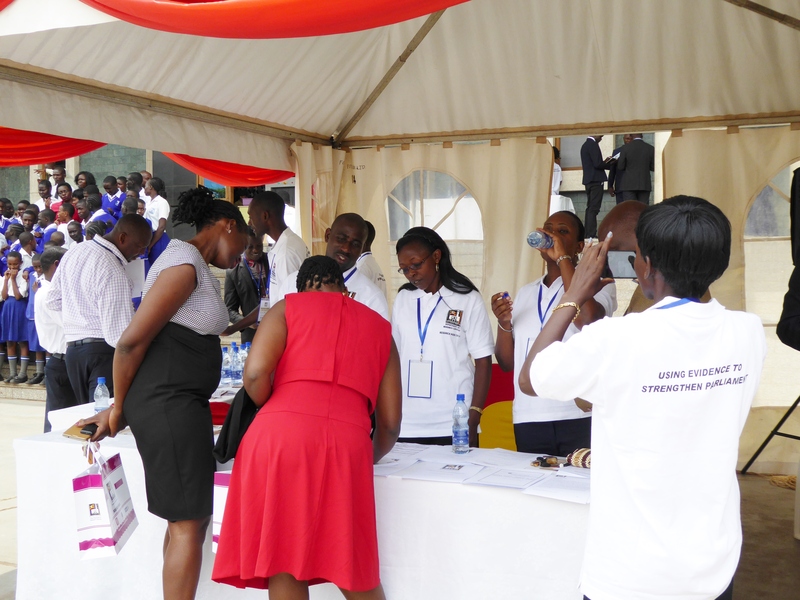 This was organized by the Parliament of Uganda’s Department of Research Services (DRS) and the Uganda National Academy of Sciences (UNAS) under the auspices of INASP led VakaYiko programme. 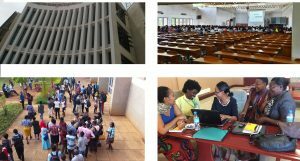 The main aim of the week was to strengthen internal and external networks between the DRS, policymakers and researchers. The Research Week was well positioned right outside the Parliament of Uganda, ensuring those passing by could visit the exhibition and attend open seminars. 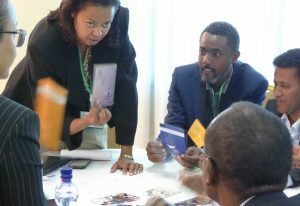 Timed to fall at the end of the orientation period for new MPs in the 10th Parliament, it aimed to increase the visibility of the Department within Parliament and highlight the role of research and evidence in Parliaments. The week was officially opened by the Deputy Speaker of Parliament, Rt. Hon. Jacob L’Okori Oulanyah. 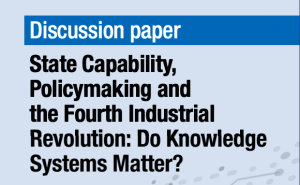 He stated the importance of research in evidence in his opening speech: “If you are formulating policy, you ask questions like; what is the problem? Is the solution the right one? Were there alternatives? That is what Parliament should ask, rather than basing on instincts…”. A press briefing took place to promote the week. This led to a lot of media coverage, including an article in the Ugandan Newspaper New Vision. 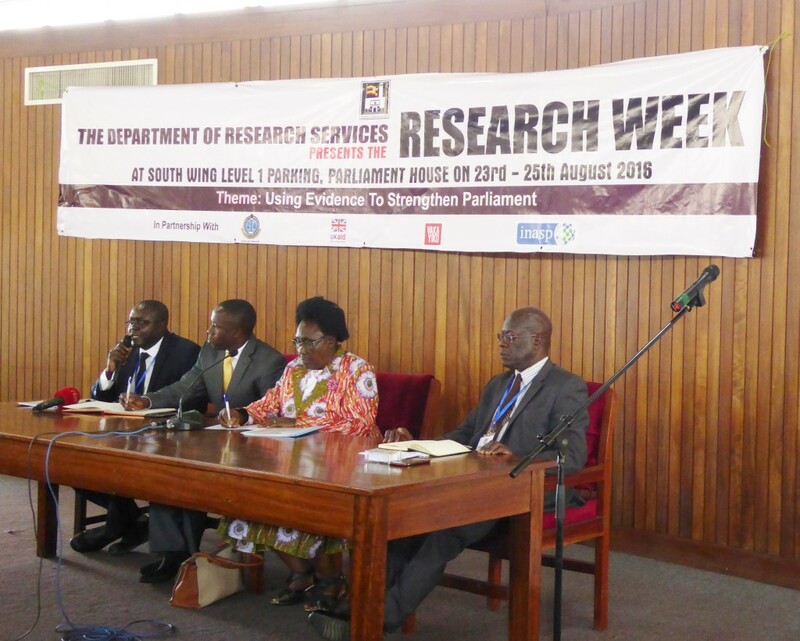 The Research Week was timed to coincide with the orientation period for the 10th Parliament. 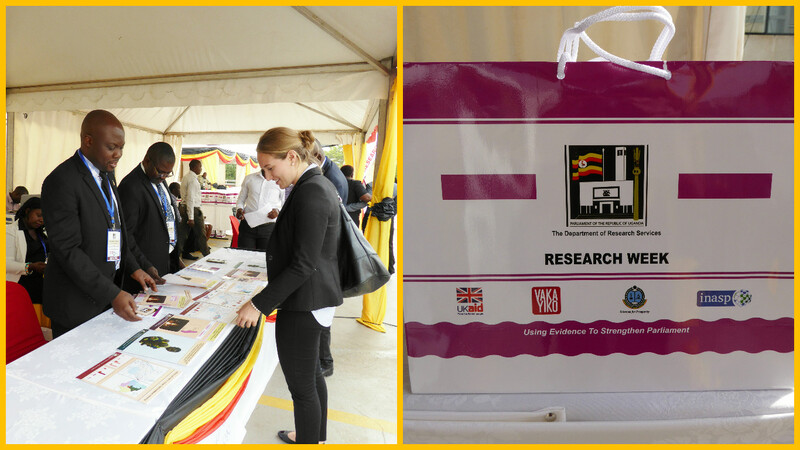 The Department of Research Services were out in full force to make their presence and services known to the new MPs. 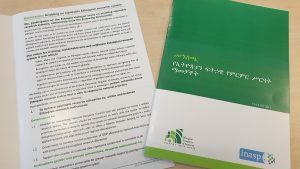 They provided bags containing their research reports and policy briefs as well as new infographics they had produced as a result of training workshops under the VakaYiko programme. Emily Hayter (pictured above), INASP’s Evidence-Informed Policy Making Programme Manager and Faaria Hussain Programme Assistant attended the week and hosted a display stall about INASP’s work. 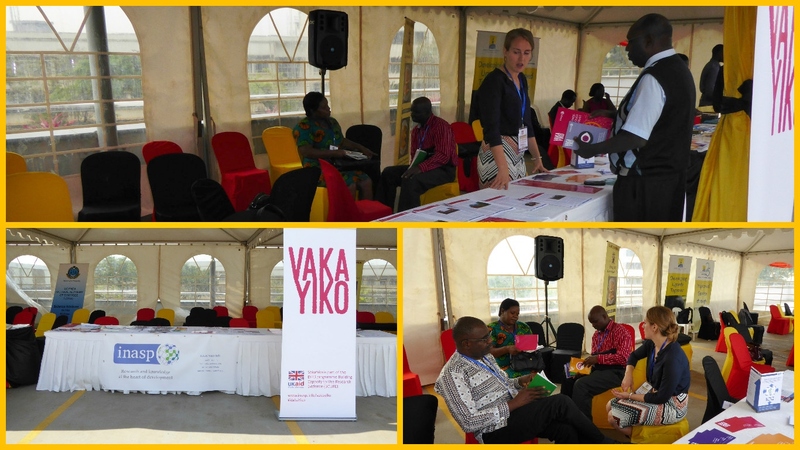 They distributed a copy of the VakaYiko EIPM Toolkit to all the researchers in the Department of Research Services. Also in attendance were partners from the Research Departments from the Parliament of Ghana and Zimbabwe, as well as INASP’s new partner the African Centre for Parliamentary Affairs (ACEPA) who will be leading a learning exchange initiative between the three parliaments over the next six months. Three side seminars took place during the week. 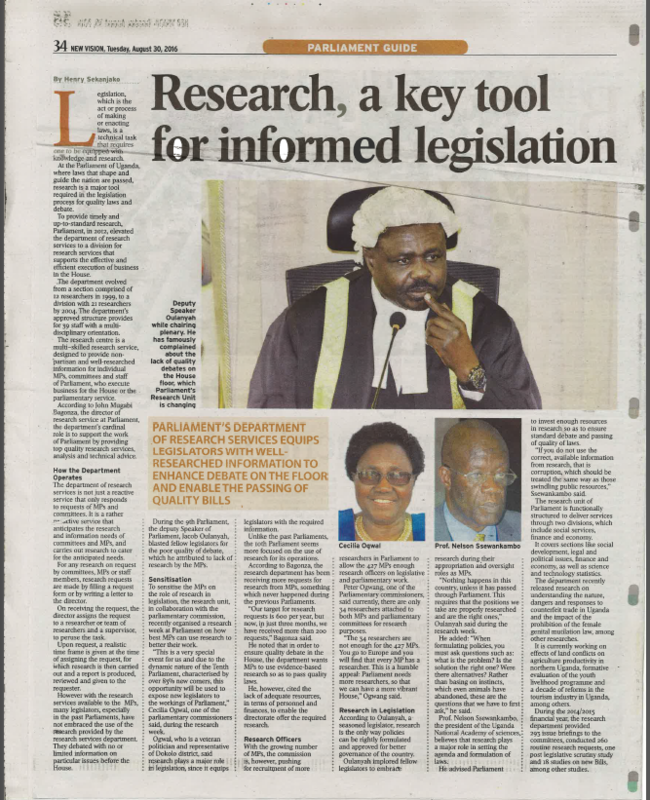 These included two presentations by researchers—one on biosafety and biosecurity and another on bailouts– as well as a presentation from John Bagonza, Head of the Department of Research Services (pictured, top left) on why Evidence-Informed Policy Making is important in Parliament. 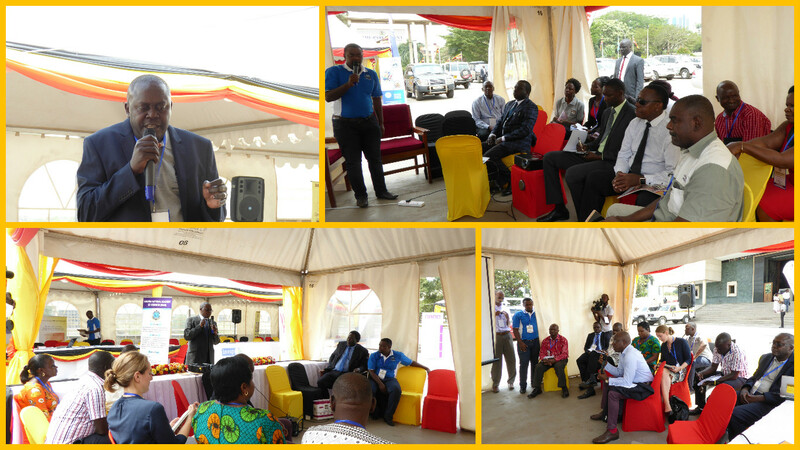 A number of MPS, parliamentary staff and researchers attended, creating a space for discussion on current research and policies. 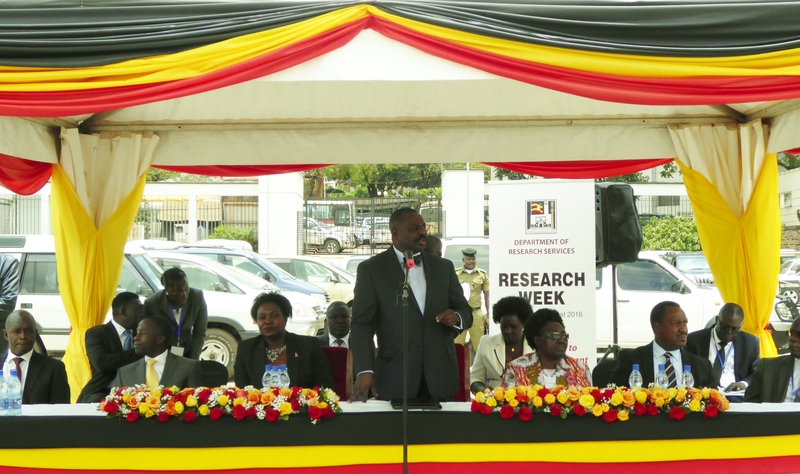 242 Members of Parliament (MPs), 107 parliament staff and 44 participants from the general public attended the Research Week.One highlight of the week was the attendance of Prime Minister Ruhakana Rugunda. 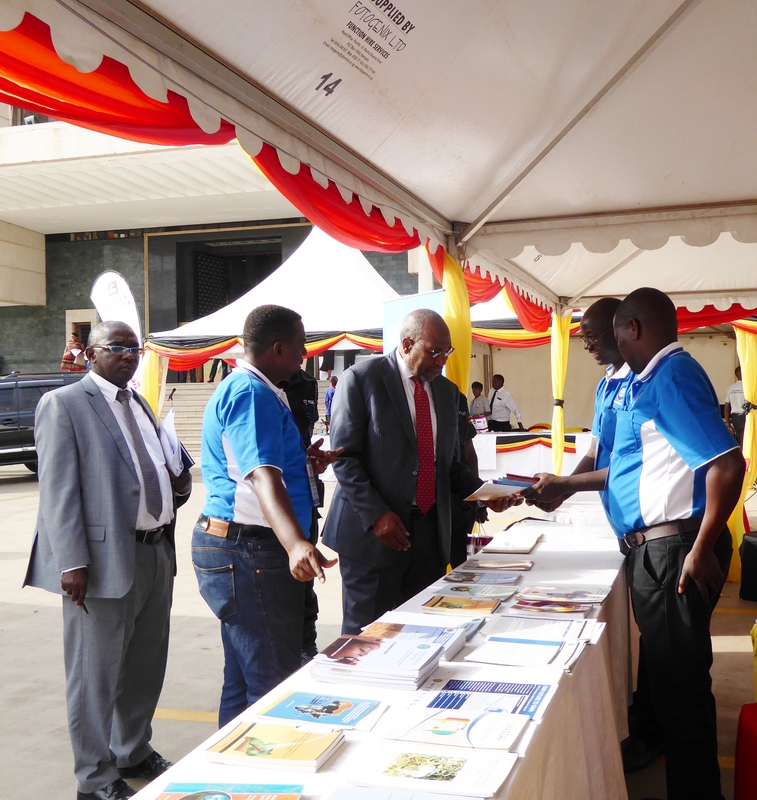 Here he is speaking to INASP VakaYiko partner, the Uganda National Academy of Sciences (UNAS). The first ever The Research Week was a great success. It brought together researchers and policymakers providing a space for discussion on topical issues, and the Department of Research Services definitely met their aim of increasing their visibility within Parliament. The DRS usually aims to get 50 research requests per month, but during the Research Week alone they received 68 new requests plus 55 requests for their publications! We congratulate everyone for their hard work for pulling off a fantastic event, especially the DRS and UNAS. Watch out for the next EIPM spotlight which will be an interview with Medard Turyamureba, a Research Officer for DRS who was involved in planning and organizing Research Week.